The event benefits the George Washington University "Mammovan"
Hundreds packed the Howard Theatre in pink for the 4th annual Newsbabes Bash for Breast Cancer Tuesday night. Dozens of anchor women and men from all networks hosted the event that benefited the George Washington University's Medical Faculty Associate "Mammovan." NBC News' Andrea Mitchell -- a breast cancer survivor -- shared her story and inspired the crowd. 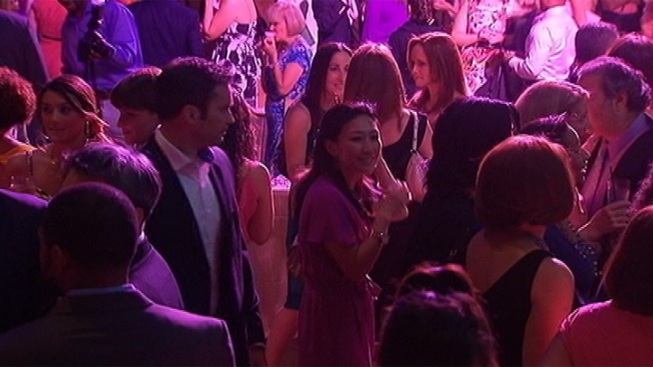 NBC was well-represented by Luke Russert, Doreen Gentzler, Eun Yang, Angie Goff, Dan Hellie and Doug Kammerer. Redskins players Lorenzo Alexander and Derrick Dockery traded in their burgundy and gold for pink, and DJ Flounder kept the party pumping as guests indulged in Georgetown Cupcakes and Dolci Gelati. Special thanks to this year's sponsors the Howard Theatre, Bethesda Row and Alton Lane. For more info on the event visit http://dcnewsbabes.org or follow @dcnewsbabes on twitter.